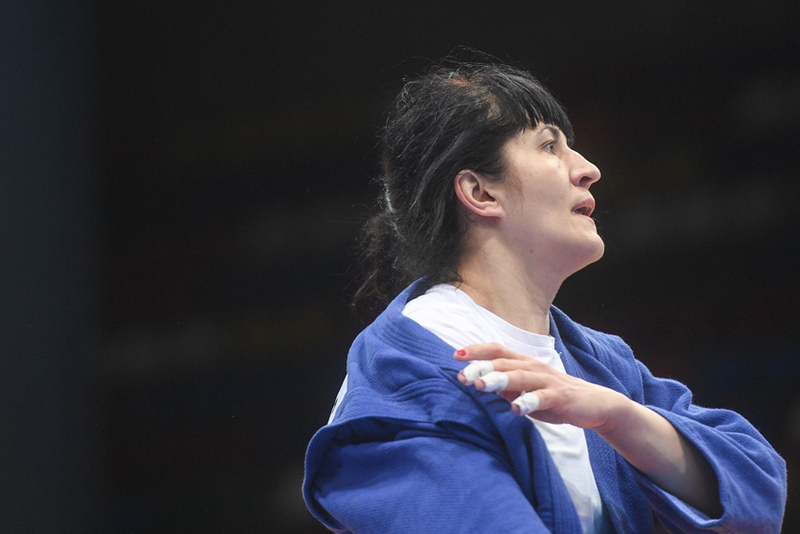 A Belarusian sambist Svetlana Timoshenko is one of the leading favorites of any international SAMBO tournament in the up to 80 kg weight category among women. 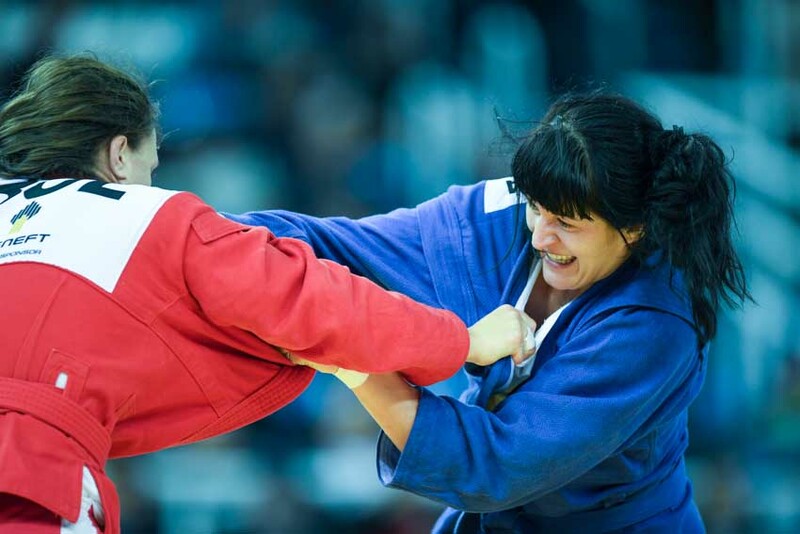 In March, she increased the number of awards under her sambist belt once again, by winning the gold medal of the SAMBO World Cup. In her interview to the FIAS website, the athlete reveals whom she has missed much at this tournament, where the main cause of her rare defeats lies, and how she prepares herself for the European Games in Minsk. — In fact, I’ve already lost count of my participations in the World Cup, but I know for sure that I’ve won the gold medal there for the third time. This year, the tournament has become the next stage of preparation for the European Games that will be held in Minsk in June. So I was not suppressed by the feeling of responsibility, I just entered the mat, tried something new and calmly did my job. When you are psychologically relaxed, it is easier to unleash yourself in a fight, and if you tighten yourself up, it grows much more difficult to win. — My chief and principal challenger Maria Oryashkova was absent at this tournament, and I missed her very much. I hope that we would meet at the European Games, I wish it would happen in the finals, for the strongest of us to win there. Outside the mat we are good friends, she is a wonderful, very kind, sincere, and communicative person. The popular sports saying, rivals within the mat and friends without, suits us to a T.
— In this respect, is it psychologically harder or easier to prepare for the matches against her? — I can not say that I psych myself up in any special way for fights against Maria. The first thing I think of is that if it is destined so, if it’s written in the starlight, then I will win today. And if the fortune turns its back on me, Maria will win. — How do you react to your lost fights? — When there are defeats, of course, they make me worry, though I don’t put ashes on my head. Along with my coaches, we sort out the fights, go through my mistakes, and then change something in my tactics or technique. We have a great coaching staff, the work is excellently organized. I think that in my case, the defeat primarily occurs somewhere in my head. On technical points, we bring ourselves to the starts almost in ideal shape, but in any human system failures do happen. — For European sambists, the main starts of the year are the European Games. How is the mental preparation for them going? — We try to psych ourselves up for them as for regular starts. But the fact that this competition is going to take place in our homeland, in Belarus, attaches great importance to it. Hence, some extra responsibility arises. Certainly, I would like to perform to the best of my abilities, but again, everything will depend on how the stars are located in the sky.